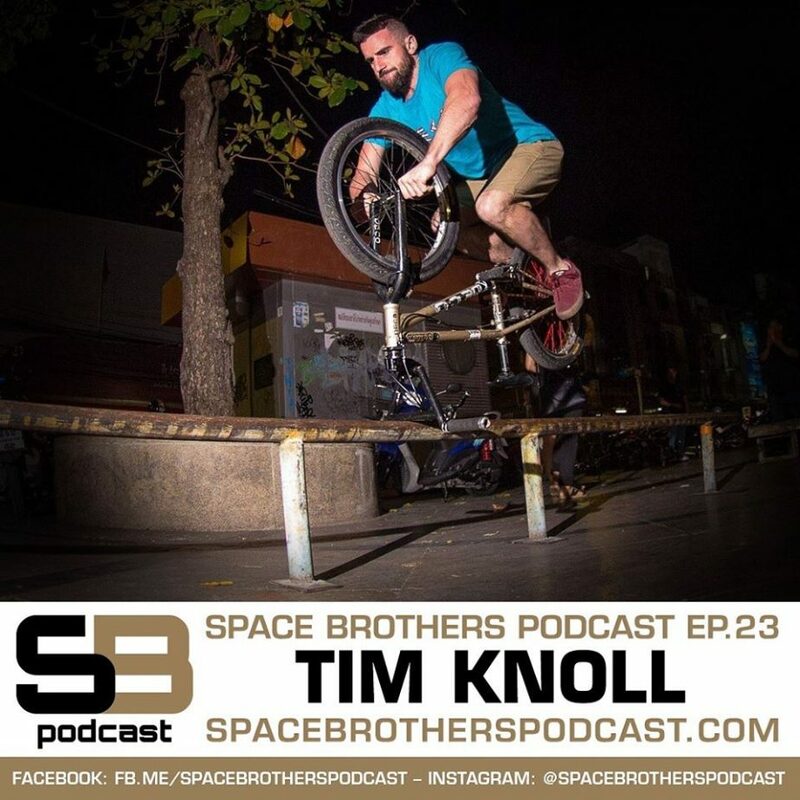 This entry was posted in News, Podcasts and tagged Tim Knoll Space Brothers Podcast by Effraim. Bookmark the permalink. Well deserved /earned for this dude ! Tim has really taken bmx to a whole of level with his signature blend of flatland , gymnastics , street riding , and an imagination for some of the most insane , technical , burly , original stunts EVER done in bmx , as a WHOLE . Cant wait to hear whats on his mind ! This guy IS freestyle at its most intense , purest and down right raddest . His edits will still be respected / relevant , and admired years from now . Just like Akihiko Takahashi put HIS stamp of signature riding in flatland…………Tim has done the same with not another rider in sight dabbling in HIS art work …..if ya catch my drift .